Envision a hunter crouched low amidst the tule marsh of centuries ago. The survival of his band depends on his skills as a hunter. In the early morning sky, flocks of ducks and geese fly by. His arrows cannot fly high enough into the sky to reach the flocks passing by, so he sets his best creative weapon on the water, the tule duck decoy. This is an ancient hunting tool used by his people from time immemorial. 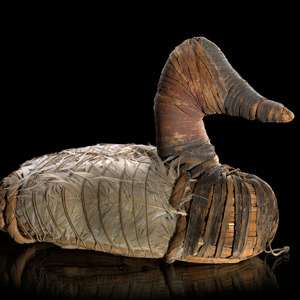 The floating tule duck brings the flock within reach, and his people survive another day. The art of making this clever hunting tool is a tradition that has been passed down from hunter to hunter throughout the centuries. 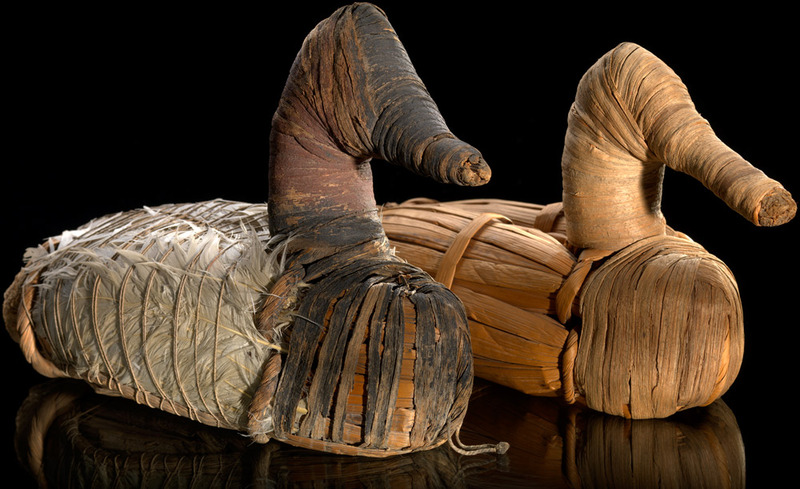 Duck skins from earlier kills were stretched over the decoys, making them very lifelike. 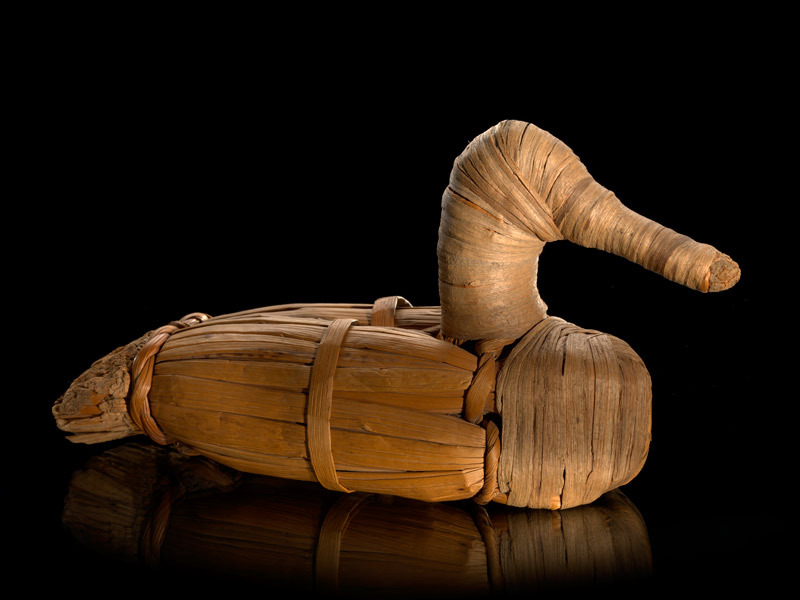 In even earlier times, the waterfowl’s feathers were woven onto the decoy and tied on with hemp strings. The heads and necks of some were painted to match the colors of the duck species. 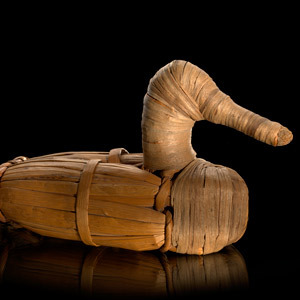 In doing this, the hunter made the duck decoy appear very real, and the waterfowl would then fly into the zone within reach of his bow and arrow. 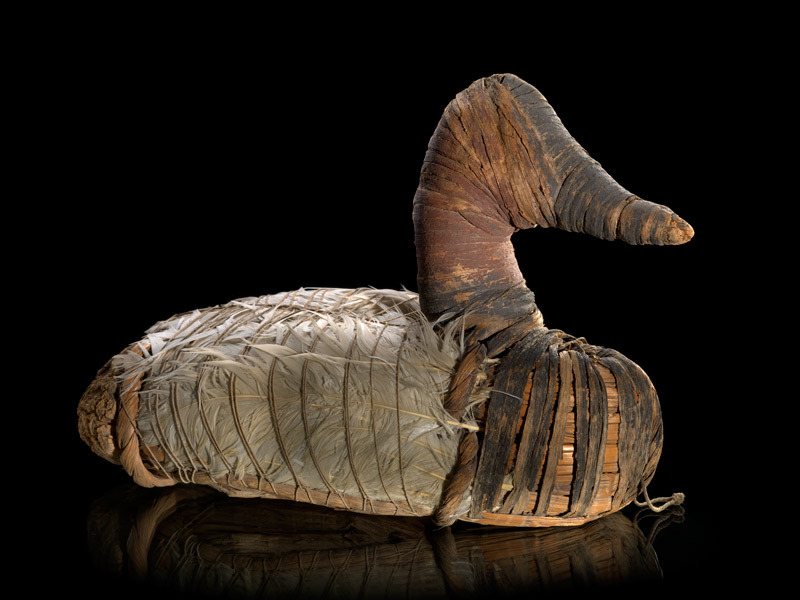 The tule duck decoy is still being made and used today by Native hunters, especially at the Stillwater Marsh in western Nevada.